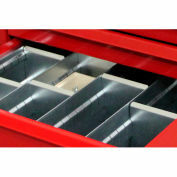 Swinging lock bar secures your tools and supplies. 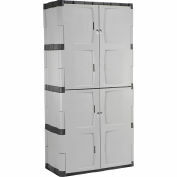 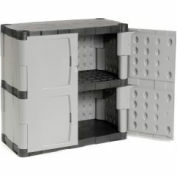 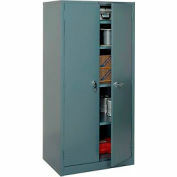 DURHAM Bar-Lock Steel Drawer Cabinets feature a unique locking bar with padlock hole (padlock not included) that swings on a full-length hinge, securing drawers in the closed position. 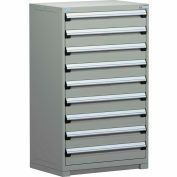 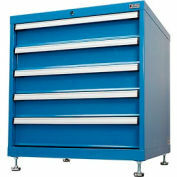 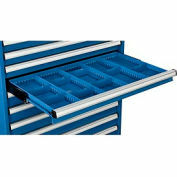 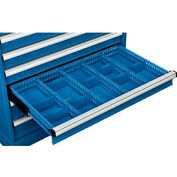 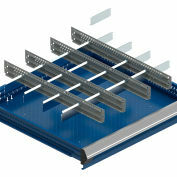 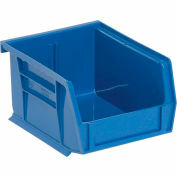 Easy glide 10-15/16"Wx10-3/4"D drawers feature full width handles. 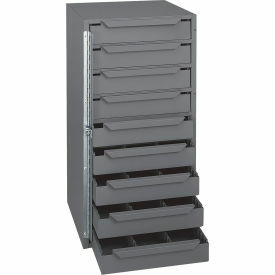 Made of prime cold-rolled steel. 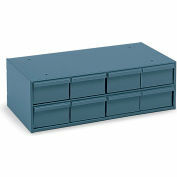 Rust-resistant gray powder coat finish.